I was selected (out of 985 applicants) for KulturKontakt Austria‘s Artist-In-Residence program in 2018. I will be in Vienna from July to September to write a new piece for a local ensemble, thus completing my “Vienna trilogy”, initiated in 2013 with cubist dances, written for the Ensemble Reconsil. Click here for more info on this year’s artists in residence. Two recent releases featuring my music are now available to buy online: the 14-CD box set Ensemble Reconsil Exploring the World (Orlando Records or-0014) and the DVD Boulez+ (Selo SESC DVDSS 0024/15). The first one, which includes the octet cubist dances (2013), is the result of a colossal project by the Ensemble Reconsil Vienna. It features recordings of 14 concerts, all performed between 2014 and 2015, each exploring the music of three composers from one specific country from around the world, alongside with works by Austrian composers relating to that country’s music and/or culture. Other Brazilian composers featured are Alexandre Lunsqui, Fernando Riederer (included as an Austrian composer) and Igor Leão Maia. Buy it here. 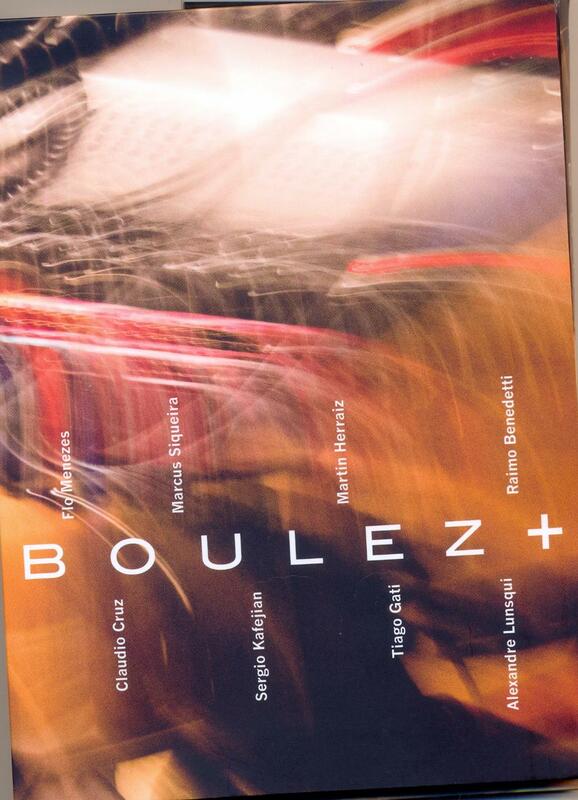 The second one, which includes relato de insônia [“insomnia report”] (also from 2013), is an audio DVD featuring new works for violin and electronics, especially commissioned from 6 Brazilian composers, alongside with Pierre Boulez’s masterpieces Anthèmes I (world premiere recording) and Anthèmes II (world premiere surround recording). All music is featured in both stereo and 5.1 surround versions. Other featured composers are Alexandre Lunsqui, Flo Menezes, Marcus Siqueira, Sergio Kafejian and Tiago Gatti. Buy it here. Cubist dances (2013), for flute/alto flute, bass clarinet, trombone, piano, violin, viola, cello and contrabass, was one of 7 finalist works (from nearly 300 submissions) at the Ossia New Music Composition Prize (USA). The winner was Crónico, by Vicente Hansen (Chile). My new work eat my cereal, for piccolo, bass clarinet, vibraphone, violin, cello and video, will be premiered in São Paulo during the 3rd Strange Music Festival. The work, conceived to be performed simultaneously with the projection of the video “Ryan Gosling Won’t Eat My Cereal” (in a slightly edited version), was selected in the festival’s call for works based on internet viral videos. The premiere will be performed by musicians of the Ensemble Música Estranha: Sarah Hornsby (piccolo), Luis Afonso Montanha (bass clarinet), Heri Brandino (vibraphone), Tiago Biscaro (violin) and Rodrigo Prado (cello). The concert will take place on November 26, 2015, at 9 PM, at the São Paulo Cultural Center (rua Vergueiro, 1000). More details can be found at the event’s Facebook page. My work tributo ao anonimato (“tribute to anonimity”), for brass quintet, from 8 years ago, will be performed by musicians of the Londrina State University’s Symphony Orchestra (OSUEL). For this occasion, the work has been adapted for a modified quintet, consisting of trumpet, two horns, trombone and tuba. The work is structured in three movements, each proposing a re-composition/parody of one work from the history of Western music: “fumeuse chorale (pour Solage)” (based on Solage’s “Fumeux Fume”), “Bona blues” (based on an exercise by Pascal Bona) and “batuque de Webern” (based on Anton Webern’s “Kinderstuck”). The work is dedicated to the rest of the organizers (besides me) of the 5th ENCUN (National Composers’ Meeting): Bruno Menegati, Fernanda Navarro, Gustavo Penha, and Valéria Bonafé. The concert will take place on November 12, 2015, at 8:30 PM, at the UEL Scenic Arts Division’s Casa da Cultura venue (av. Celso Garcia Cid, 205). More info can be found at the event’s Facebook page. I am grateful to my colleague Tadeu Taffarello, who is responsible for the project, for the oportunity. 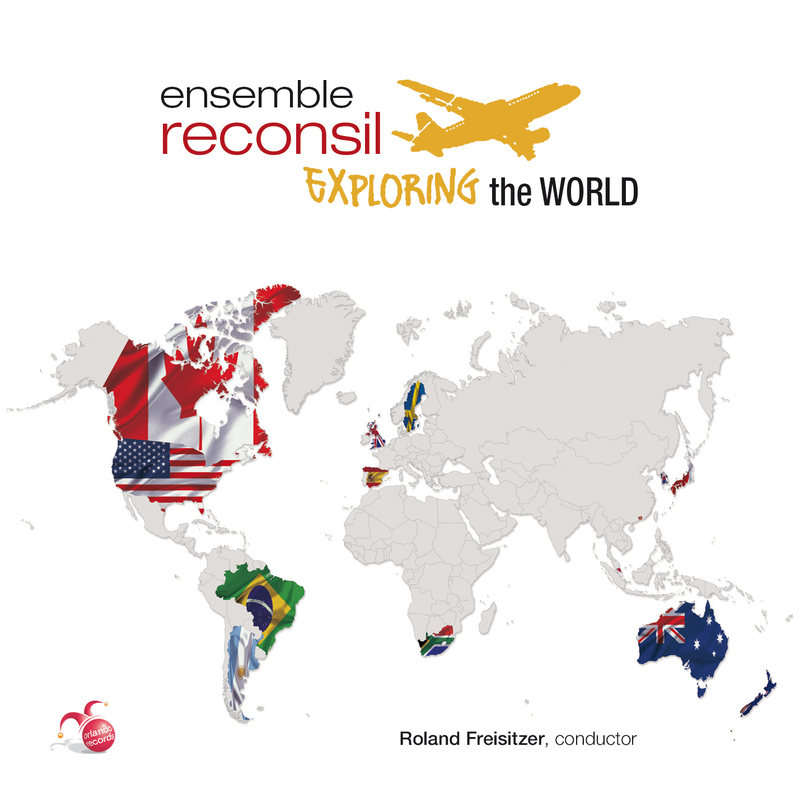 The Ensemble Reconsil Vienna has launched a crowdfunding campaign for their upcoming 14-CD box set “Exploring the World”, documenting their homonymous concert series, which features composers from 14 different countries as well as pieces by Austrian composers inspired by those same countries. The “Exploring Brazil” set will take place in April 16, 2015, at the Joseph Haydn hall of the Vienna Music University, and will feature the premiere of my work cubist dances, written especially for this project. You can contribute and help make the release possible, as well as read all about the fundraising campaign, here. Very pleased to be part of a new collaborative project by composer/performer Marcela Lucatelli, for whom I’m writing a new vocal piece (possibly including multimedia elements as well). The project, which will feature pieces by Brazilian and Danish composers, will premiere in New York City in May 2015, with subsequent performances in Brazil in June/July and in Denmark/Europe in August. My old-time buddy Alessandro Santana is working on an audiovisual DIPTYCH based on my two acousmatic miniatures from 2005, “the eternal recycling of the self” (remake of a video made by Alessandro in 2008) and “migraine impromptu” (original production). Stay tuned for a possible 10-year anniversary event in 2015. UPDATE: The final version, titled TWO MICROFILMS, can now be seen here. Program about the 20th Brazilian Contemporary Music Biennial in 2013, featuring recordings of pieces premiered at the Oct. 1st concert (including my trio para quatro, or “trio for four”) and interviews with featured composers. 6 PM (GMT -2) on Rádio MEC FM (Rio de Janeiro, 99.9 MHz); click here to listen online. UPDATE: This program will be rebroadcast on January 17, 2014, at 11:59 PM (GMT -2). I recently earned a grant from the Ibermúsicas program to do a three-month residency in Vienna in 2014, during which I’ll be writing a new work for the ensemble reconsil. The exact period of the residency has yet to be defined, as it depends of the Ensemble’s 2014-2015 season planning, but it will take place during the 2nd semester of 2014. UPDATE: Period of the residency: late July to early October, 2014. The premiere concert will take place on October 04 at the Arnold Schönberg Center, in Vienna, as part of the “Long Night of the Museums” (Lange Nacht der Museen).